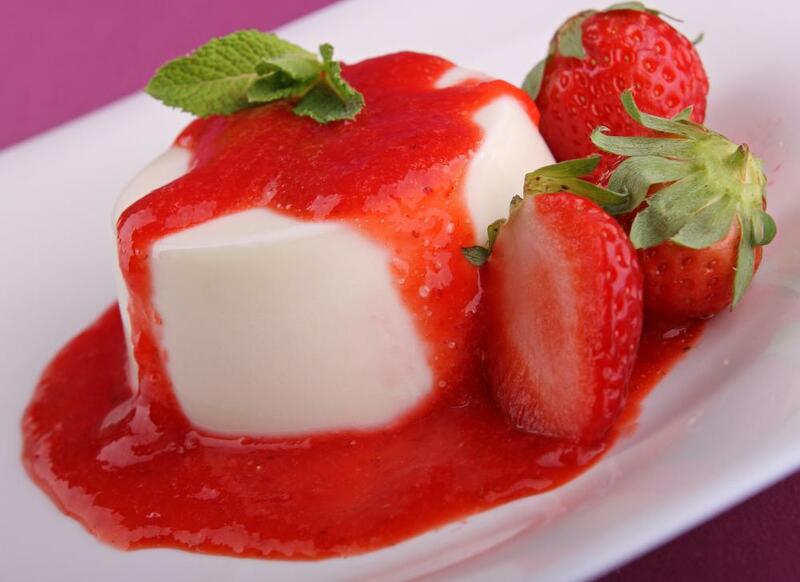 Strawberry fruit coulis pooled around a dessert. 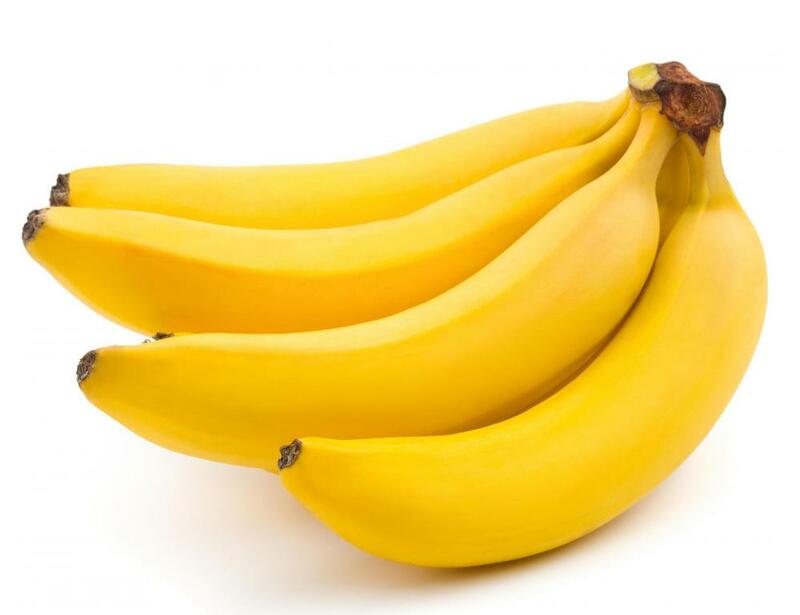 Bananas, which can be used to make coulis. 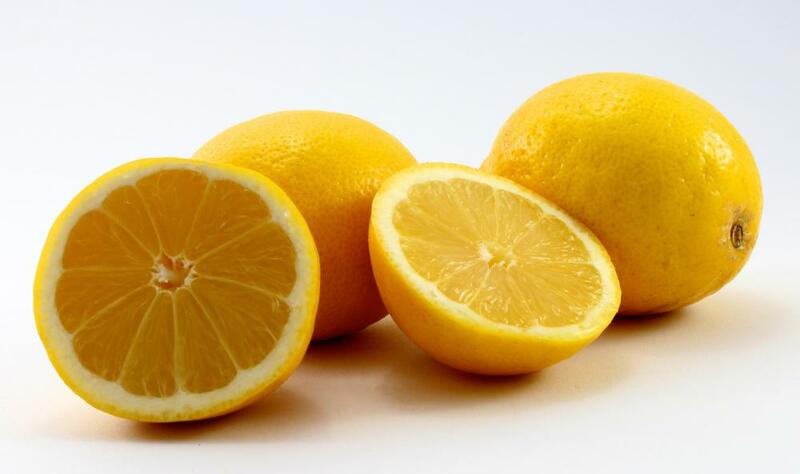 Lemon juice is often used to enhance the flavor of fruit in fruit coulis. 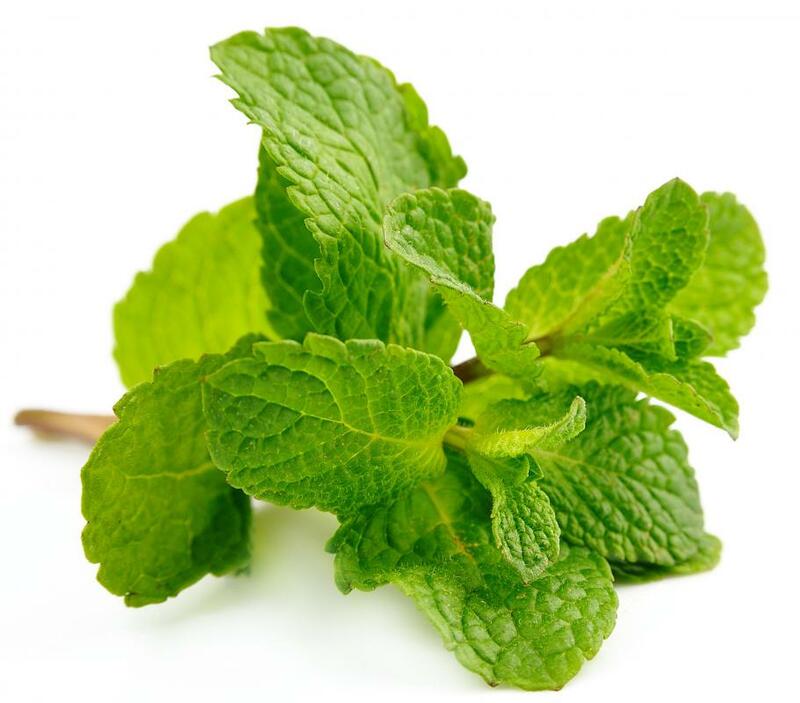 Mint coulis often accompanies roast lamb. Coulis is a French sauce which can be sweet or savory, depending on what it is meant to accompany. The term is also used to refer to the rich juices which flow from meats while they are roasting. As a general rule, coulis is thick and evenly textured, and it can be made from fruits or vegetables. Many stores sell it in pre-packed containers, and the sauce is also very easy to make at home. Using coulis can enhance the flavor of food, as well as making it look more sophisticated on the plate. The word is French for “strained liquid,” and it is derived from colare, the Latin word for “strain.” Many fans of French cuisine are familiar with coulis, since it is added to a wide range of dishes from roasts to dessert cakes. The sauce is also used in fusion cuisine and fine dining establishments, especially by cooks who have been classically trained. The base of coulis is a fruit or vegetable. Fruits are generally used uncooked, while vegetables may be roasted, blackened, or simmered so that they soften. The base is pureed so that it is creamy and smooth, and then it is usually seasoned. After seasoning, the coulis may be strained to remove things like seeds or chunks of skin. The sauce may be artfully drizzled on a plate, or pooled next to the food. In some cases, multiple types of coulis appear on one plate, for varying flavors and colors. Fruit coulis often accompanies desserts. One of the most classic kinds is a berry coulis, especially raspberry. Fruits are usually lightly seasoned with sugar and lemon juice, to bring out the flavor of the fruits so that they enhance the dishes they are added to. Savory fruit coulis may also be made for things like roasts. Herb-based sauces are also not unheard of, and mint coulis often accompanies roast lamb. Vegetable coulis can include any number of things, although roasted pepper or tomato are two common ingredients. This type is often more savory, and it can be quite colorful. It can be drizzled over roasts, poured into soups to make patterns, or used in any number of other ways to dress up and flavor a dish. In many cases, coulis can be frozen for future use. Some people also like to keep it around in a squeeze bottle, so that it can be quickly applied when needed. As a general rule, it should be used within a few days if it is not going to be frozen. I love my friend's tomato coulis, but it contains so many ingredients that I never venture to make it at home. The base is two cans of plum tomatoes, but there are just so many spices involved that I only eat it when I go to her house. I do know that she puts flour in it to make it thicker. She also uses olive oil and a bit of sugar. She put the coulis on top of tilapia, and it was delicious. It almost tasted like a pasta sauce, but the fish underneath was a surprise. I love discovering new flavor combinations. I never would have imagined that tomato coulis would taste great with seafood, but it does. @giddion – I had no idea that raspberry coulis sauce was that easy to make! I recently had some at a restaurant, and I figured you had to be a professional chef in order to make this stuff! I ordered grilled salmon with asparagus in a raspberry coulis sauce. I had mixed feelings about raspberry sauce with asparagus, but it turned out to be the most amazing flavor combination. It's good to know that I can make raspberry coulis at home whenever I want it. Now, all I need to do is to figure out how to cook asparagus! I use a strawberry coulis recipe when making a topping for my waffles. It is so much better than the strawberry syrup you buy in a bottle. I make it out of strawberries that I grow in my garden, and the flavor is unbeatable. @GardenTurtle – That sounds about like my recipe for raspberry coulis, except I use only raspberries. I put fresh ones in a bowl with lemon juice and sugar, and I mash them with a fork until they are gooey and flat. Fresh raspberries are so tender that you can accidentally mash them just by holding them, so they yield easily to the fork. Most people strain out the seeds and goop, but I like to keep them in there. This type of coulis is great on everything from pastries to vegetables. The stuff is so good that I could eat it with a spoon by itself, and sometimes, I do! I'm going to try and make an elderflower coulis. Wish me luck. I use a mixture of passionfruit, blueberry and mango coulis to add to a smoothie drink that I have for lunch each day. It beats a boring sandwich anytime. I have one slight disagreement with this as published. The definition of a coulis (Ayto - 1993) is that it is a thin purée or sieved sauce made typically of vegetables or fruit. I made a cucumber and strawberry coulis last night for a grilled sea bass. Let's just say I had no complaints. @chrisinbama: Yes, you can use frozen fruit. I find it easier to use frozen fruit because, depending on the season, fresh fruits are not always available. I like to mix several fruits together when making coulis. I take 2 cups of strawberries, 1 cup blueberries, 1 cup raspberries, and 3 tbsp. sugar. Combine them all in a bowl and chill for about 20 minutes. After that, partially mash them with a fork. I like mine a little chunky because I use it a lot for pancakes and waffles. Can frozen fruit be used when making coulis? I like the idea of keeping coulis in a squirt bottle. You can artfully squeeze some coulis on, or around the food, adding interest to the plate. It is also very nice for the children, adding a heart, happy face or whatever you imagination will allow.